The product is supplied in a beautiful jar. Contains 30 dividable tablets. Sufficient for 30 – 90 days. The product is supplied in a handy blister pack. Contains 12 dividable tablets. Sufficient for 12 – 36 days. 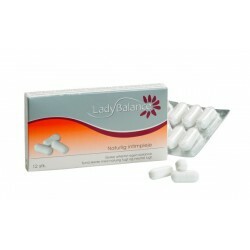 Documentation for lactose vaginal tablets Papers describe bacterial vaginosis, the theoretical concept and the practical experience. No results were found for your search "lactose"